PR by the Book and the author sent me a copy of this book to read for review (thank you). it will be published February 24th, so be sure to grab a copy. This is first in a trilogy and I will be looking for the others in this series. It's good. 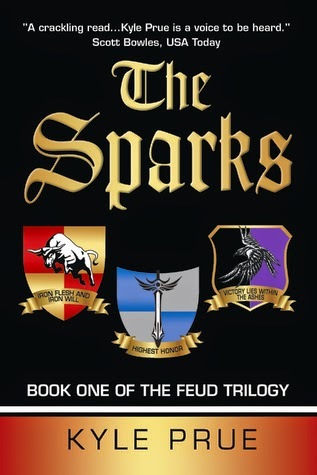 You can buy a discounted copy of this book that is signed by author here: We have a special discount code for your readers who want to purchase The Sparks. They can purchase the book from Kyle Prue’s store on his official website. The code ‘BLOG25’ will get them 25% off an autographed copy, signed by Kyle Prue! NOTE: This code will not work on purchases made on Amazon.